5 Best Road Bike tyres - LA VELOCITA. I’m a proud, card-carrying tyre bore. I love talking tyres. That rubber is your point of contact with the road that can drastically improve or degrade the quality of your ride. Tyres have gotten truly excellent of late and yes you can have them roll fast, resist punctures, and handily bite the road. So I wanted to throw together a list of the best I’ve used. So, what’s my criteria? These are tyres I’d buy myself or tell you to buy. They make your bike nicer and more fun to ride. It’s that simple. I’ve intentionally spent the last 3 years never buying the same tyres twice. Add that to the pile of review bikes I’ve whipped around on, and I’ve gotten to experience a stack of tyres. So, here’s what I rate as the top 5 road tyres. This is the least tested tyre on the list, having only recently been fitted on my bike. I’ll keep it in fifth for that reason, and will do a full review in future. It’s made the list thanks to being a road tubeless tyre that’s easy (for tubeless) to fit, is light, rolls very nicely, and handles quite well. It’s the first standard-width road tubeless tyre I’ve tested that behaves like a standard road tyre. It’s taken a while for road tubeless to mature and the Pro One is an exciting glimpse at how good the system can be. Early impressions are very good. The road feedback is slightly lacking and they don’t have the corner-slinging chops of some tyres listed below. Nonetheless, they make the top-5 and should be considered by all road tubeless converts. 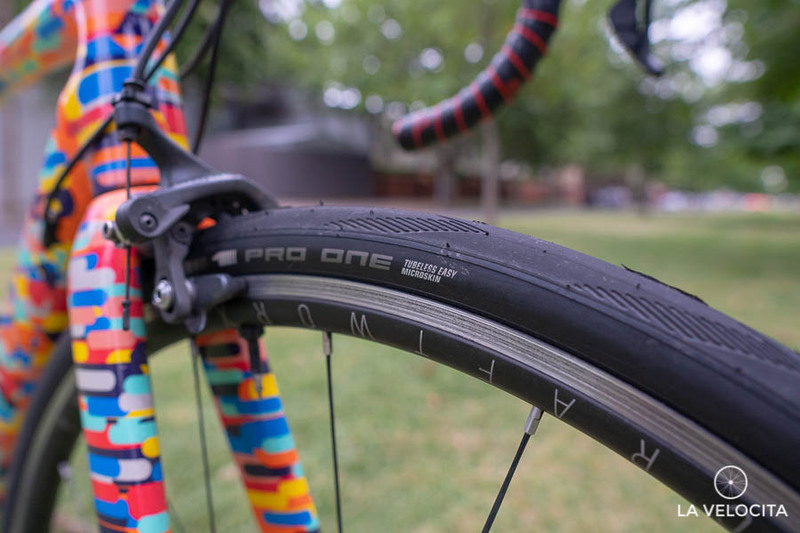 Buy if: You want road tubeless tyres that are easy to set up and nice to ride on. Avoid if: You aren’t running tubeless. I’d take the tyres below instead. The Corsa is a quiet achiever that pleasantly surprised me with its quality. I’ve spent time on both the clincher and tubular versions and came to enjoy both. They share the same category as the Continental GP4000S II; a rock solid performer that does everything quite well. Ride quality, grip, and road feel are all pretty good. It all comes at an accessible price and they’re widely available. My only real criticism is they don’t excel at anything in particular. They look darn good as a handy bonus with a grey, black and tan wall variation available. 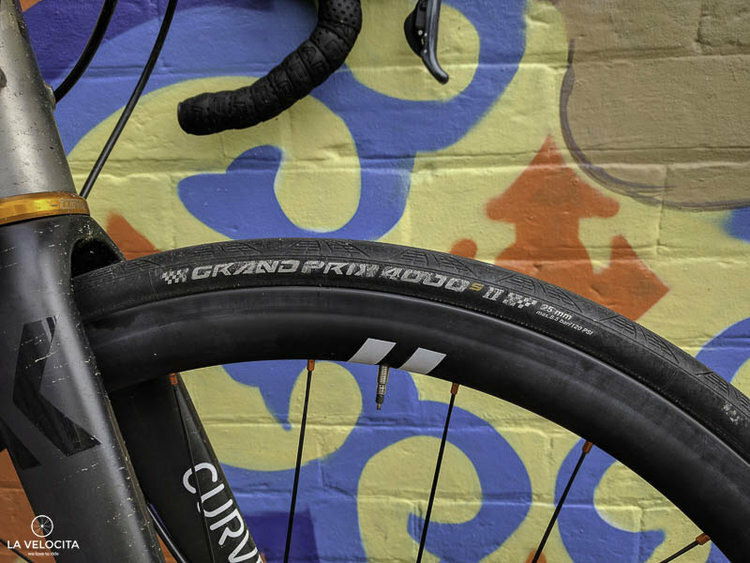 Is Graphene the wonder material that’ll lead us to the promised land of tyre perfection? I don’t think so. Still, the Vittoria Corsas are tasty tyres. Buy if: You you want that sweet gumwall look on good value, well-performing tyres. Avoid if: You want something a little more exciting, then check out the rest of the list. Compass’s fancy gumwall makes the list for its ride quality alone. Nothing, absolutely nothing, feels this good in 26 mm width. Compass have developed a crazy supple sidewall that flexes and cushions you against the nasty bumps and vibrations from the road surface. They still manage to grip hard and give you plenty of confidence when descending at speed. Compass, and founder Jan Heine, is the tip of the spear in the wide-tyre-low-pressure revolution of recent years and their tyres are the realisation of this philosophy. They’re a lovely tyre to ride. They’re rather pricey at $90 per tyre landed in Australia so they fall firmly into the boutique category. I’ve racked up a couple of thousand kms on my set and I enjoy them every time. A real pleasure to ride. Buy if: Ride quality is everything. Avoid if: You are threatened by, and scared of, low tyre pressures. Uuuuuuuugh, this article was written the day before Continental’s GP5000 was announced. I’m keeping them on the list because everybody still has them in stock and there could be some killer bargains popping up. Plus, it’ll be a few months before I get a chance to use the replacement GP5000. Time to stock the cupboard. I’m going to bestow the Bryan Cranston award to the good old Conti GP4000 SII for being quietly brilliant and always showing up to work. Dollar-for-dollar I consider these the best all-rounder rubber you can throw your cash at. I love how they feel; quick, smooth, and comfortable. Wear rate is excellent too; I get a lot of kms out of a set before I rotate them and get even more. GP4000 SIIs are my favourite wet weather tyre with generous poise and grip for the dreary months of the year. Buy if: You want a sterling all-rounder. Avoid if: You hate good tyres or you are very punishing of your sidewalls. These aren’t tyres so much as rubberised tailwinds. They are, without question, the best clinchers I’ve used. They roll ridiculously rapidly, handle like a dream, are quite light at around 230 grams, and look amazing for up to 3 rides before they get dirty. All that comes at a cost. Literally. It’s a hefty financial punch in the mortgage at $120 per tyre. They’re boots for people who don’t ask how much things cost before they pay. It’s all worth it when you’re full-gas throwing the bike through some corners. They’ve performed excellently well at rolling resistance tests and you can feel their speed on the road. I can’t say that of many tyres. I bagged a set and ran them down to tissue-paper-thinness before a blunt stick punctured them and I conceded defeat. Still, I’ll always remember those glorious months of Turbo Cotton goodness. Buyers beware; they’re here for a good time, not for a long time. The wear rate is quite rapid and puncture protection is mediocre. Spoil yourself and get a set. Just to try. Then you can go back to sensible tyres. Buy if: You want the best and like to go fast. Avoid if: You understand compound interest and thus the long-term effects of buying such expensive tyres. 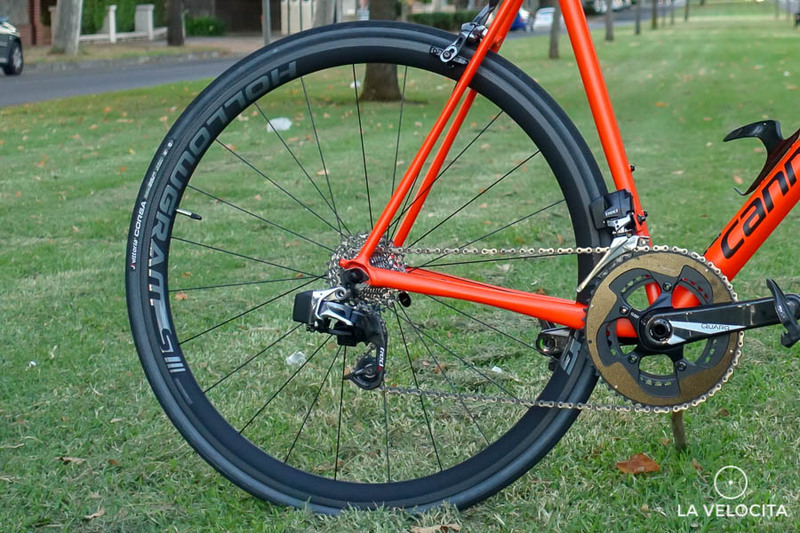 These handy tricks could see you happily riding your new bike in no time.